In 2005, 27 events (19 Ironman races, 8 half ironman races) offered 1500 slots, a total that allocated approximately 75 slots to pro athletes. 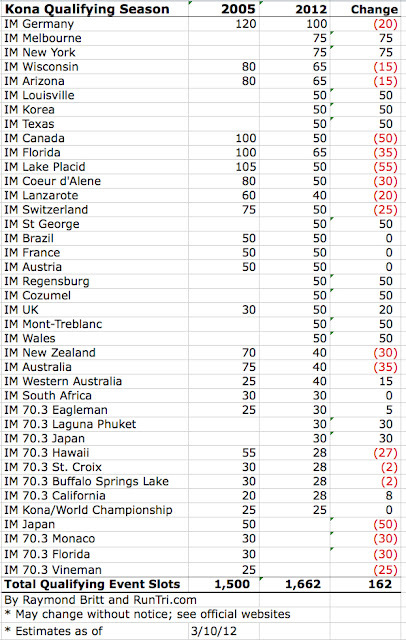 In 2012, it is estimated that 35 events (28 Ironman and 7 half Ironman) will offer 1662 slots, not including about 85 pro slots that are allocated separately. For more, see our Complete Ironman Kona Coverage.